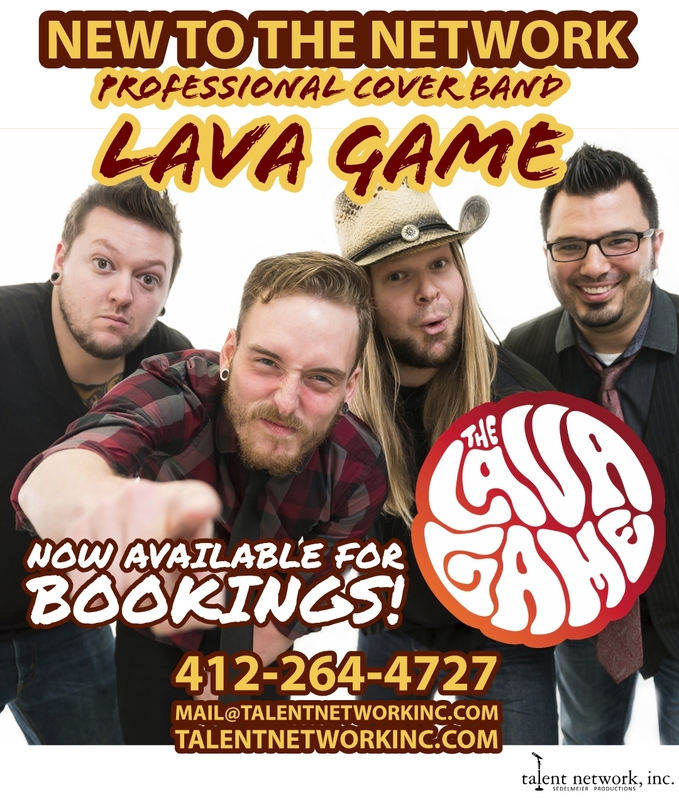 New to the Network: The Lava Game - talent network, inc.
Welcoming the touring live, cover band, The Lava Game to the growing roster at talent network, inc. The Lava Game has been a fixture in the Pittsburgh music scene for over 10 years. They are a popular party band that performs a high-energy and interactive stage show. Mostly known for playing alternative rock covers of Top 40 hits from the past few decades, the band has an extremely diverse song list and they cover a wide variety of genres ranging from rock, hip hop, alternative, pop punk, classic rock and funk. They can also tailor their set lists based on the audience to help maximize crowd engagement and satisfaction. The Lava Game tours consistently across the Midwest and East Coast for a variety of audiences – from nightclubs to festivals, private events and beyond. To hire talent or entertainment for your event, please contact us here at talent network, inc.